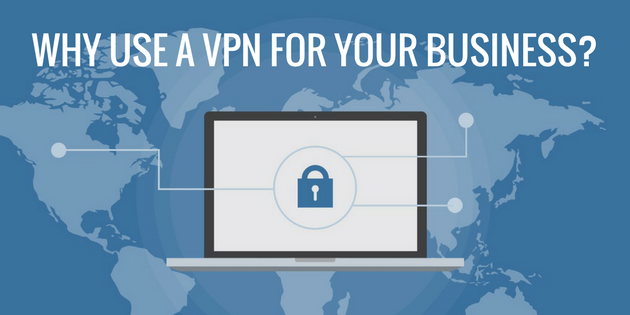 Why use a VPN or Virtual Private Network? Isn’t that just going to slow down my internet connection and be a huge hassle? Today, security on the internet is more important than ever. Especially if you have a business and it’s crucial if you serve clients. If you have clients or customers that require you to have any of their information then you need to protect that information. I’m not just talking about credit cards and financial information. Email addresses, phone numbers, personal information of any kind is at risk on an open network. Let’s look at what a VPN does. Simply put, a network is a bunch of computers that share data through communication paths. The internet is a very public network in which we send and receive data. A VPN wraps that data in a private tunnel. This tunnel makes your data invisible to the public network using encryption. Being out and about working and holding meetings is one my favorite things about my business. To do this, I have to be able to access the internet when I am working in public. Most of my time spent working outside my office is spent in a coffee shop. When we access WiFi in any public place we increase our risk to be hacked. With a VPN I can remain invisible on a public WiFi network. It’s bad enough when your data is compromised. If that data belongs to someone who has entrusted you with their data, that’s another story. Giving up a clients data would most certainly cause you to lose that client but it could also give you a reputation for not being professional and trustworthy. A bad reputation will sink a business faster than anything. Be sure your clients data is always secure. Do you travel to other countries for business or pleasure? If you do, you’ll notice that in some countries you will have restrictions on what you can access online. One of the most common uses for a VPN is to get access to restricted video content. On vacation in Thailand and craving your favorite show? You might not be able access it because of restrictions on that content in Thailand. With a VPN, your IP address is masked and you can make it appear that you are logging in from an IP in another country. Don’t want big brother peeing in on your online activity? Internet service providers (ISPs) are in a position to see pretty much everything you do online. They have to be because they are carrying all of your data to the internet. Online data is a valuable resource to businesses. Knowing your activity on the web gives businesses an invaluable insight into your spending habits. Most people have no idea that they are willingly and unwillingly sharing their data. Companies pay a lot of money to access this data and your ISP may be selling it to them. Using a VPN gives you anonymity that keeps your data safe from those who crave it. PPTP’ & ‘L2TP are considered to be insecure. The only thing this type of protocol should be usd for would be to unblock a streaming service. Most providers offer OpenVPN which is considered one of the most secure for transferring data. If you use your mobile device to access the internet, and we all do, then your VPN must have a mobile app. How often do you access your bank, make a payment, check your financials, etc. on your phone? Most will answer every day. Many times not thinking about what WiFi network we are connected to. Be sure your VPN service provides protection for your mobile devices. Look around and compare prices. Don’t choose on price alone but it should be a factor. These are the top 3 VPNs according to a PCMag.com 2017 review. IPVanish is the top VPN service for 2017 as rated by PCMag.com. They have hundreds of servers all over the world, allows BitTorrenting, has automatic IP address cycling and a kill switch feature. The drawback to this service is that the interface is not very user friendly and it’s a bit pricey. NordVPN is the service I use for all my devices. The reason I chose NordVPN is it’s ease of use and friendly interface. It costs a bit more than some competitors but it’s worth it. The boast 1500 servers worldwide, no logs and you can connect 6 devices at a time. PureVPN is considered the fastest VPN service. They don’t have as many servers worldwide but are consistently killing the speed tests. The price is great if you go with the 2 year plan and they have add-on features like firewall and dedicated IPs. If you did please remember to like, comment and share.